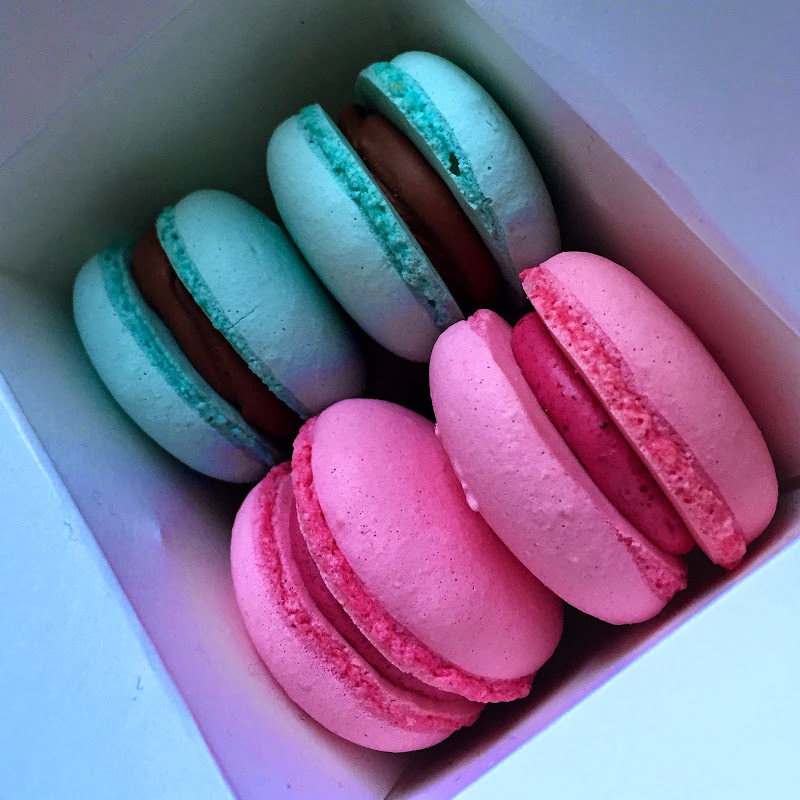 those macaroons. they were perfect and delicious. and we should have bought more. i don't see the tomato, lettuce and pickle.